Let's find these best friends a home together. 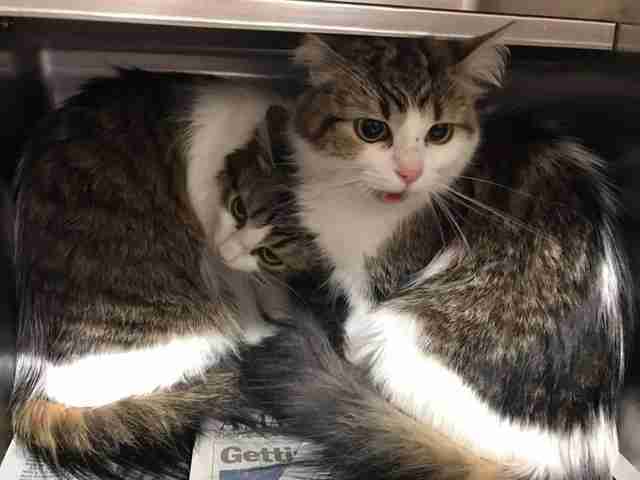 Update: The two cats have found a foster home through DAWGS, according to Yellow City Shelter Cats. If you can give these sweet best friends a permanent home, you can contact DAWGS. You can also donate to DAWGS to help save more animals. 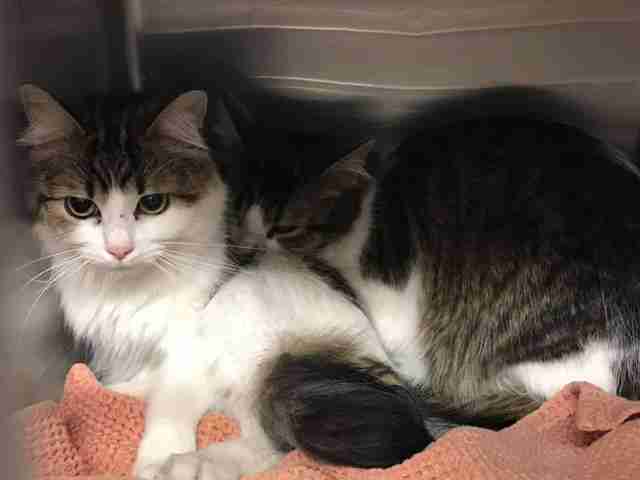 We may never know why two sweet cats were just dumped by their owner at Amarillo Animal Management & Welfare in Amarillo, Texas, but we know they deserve a safe and loving home - and fast. 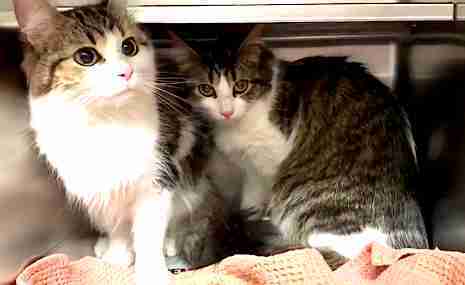 As they were admitted to the shelter, one cat cowered behind the other, who kept meowing, as if trying to understand what was happening. Approximately 3.2 million cats enter U.S. animal shelters every year and over 800,000 are euthanized. It's hard enough getting all these cats homes - and even harder when the cats are bonded and need a home together. These two best friends are currently in cage five at Amarillo Animal Management & Welfare, 3501 S. Osage, Amarillo, Texas. If you can give them the loving home these cats so deserve, contact the shelter directly.